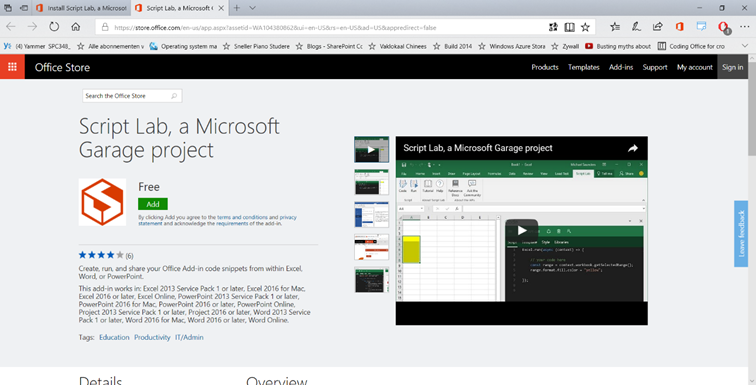 Today I will go over the installation process of Script Lab. Step by step I’ll follow the instructions and see what this looks like. How hard can it be ‘ey? 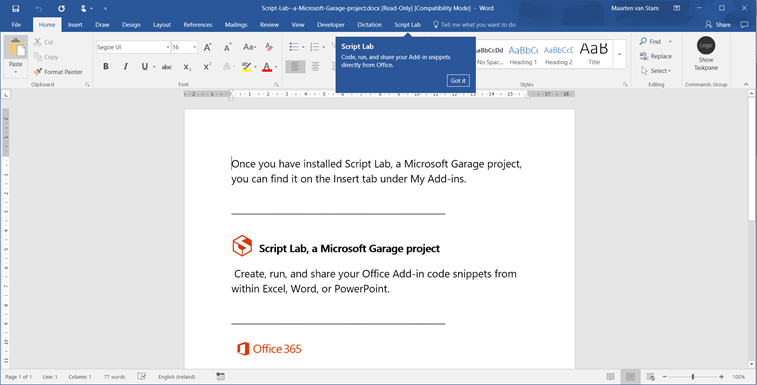 In this case we tend to trust Microsoft in this we continue our journey by pressing “Enable Editing” but now we run into a second warning because the document also contained a Task pane that wants to run the Script Lab Add-in. 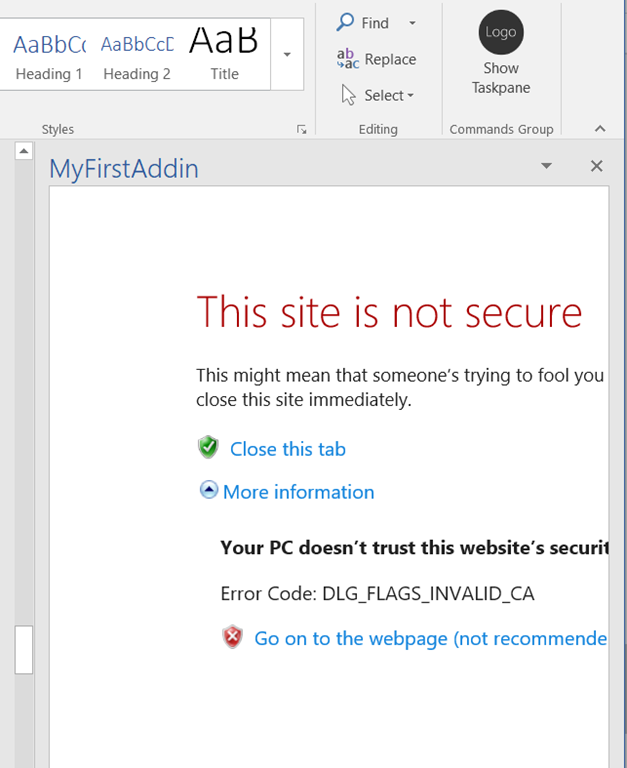 Again to make you feel safe, you don’t want any add-in to kick in without your confirmation, you get the option to “Trust this add-in” or “See Details”. If you click “See Details” they bring you back to base. The installer page is provided where you can read information about the add-in. 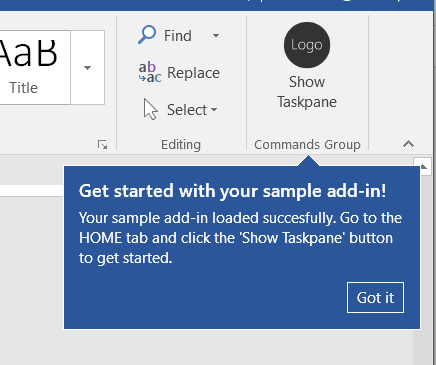 I guess you already did that, otherwise you wouldn’t get this far in the installation process (unless you just trusted my simple introduction and went ahead ). For now, not all that interesting, so we close this and leave it for what it is. 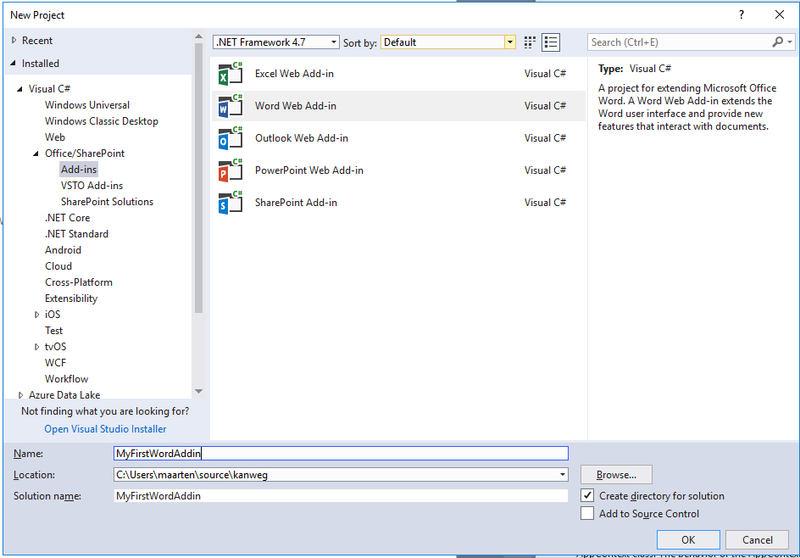 Again the little Protected View warning and the Enable Editing button. 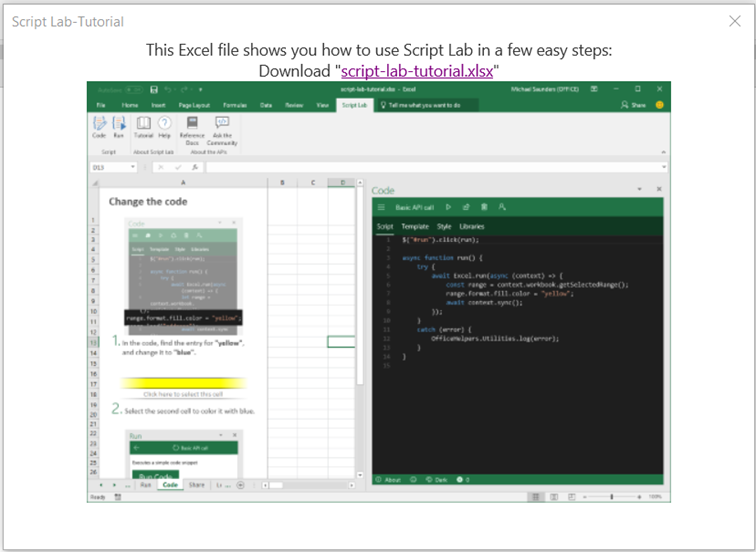 It didn’t provide me with the Script Lab Add-in tab though, only the instructions that you also saw when running the Word installer, except now for Excel. 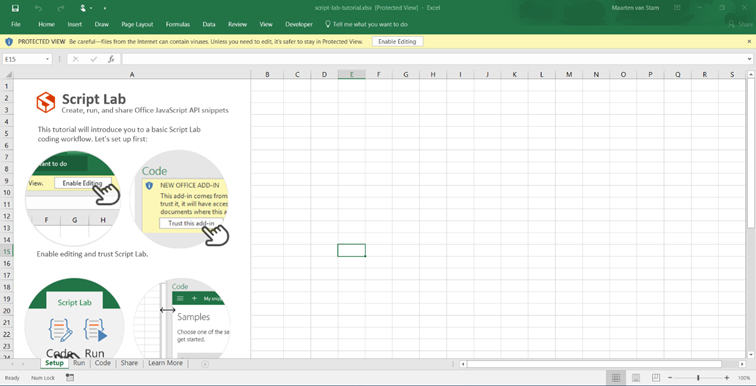 This wasn’t really what I was looking for, probably useful if I just started from Excel but I didn’t. I went through the GitHub issues and noticed that getting a Word Tutorial is still in planning. Some patience here. 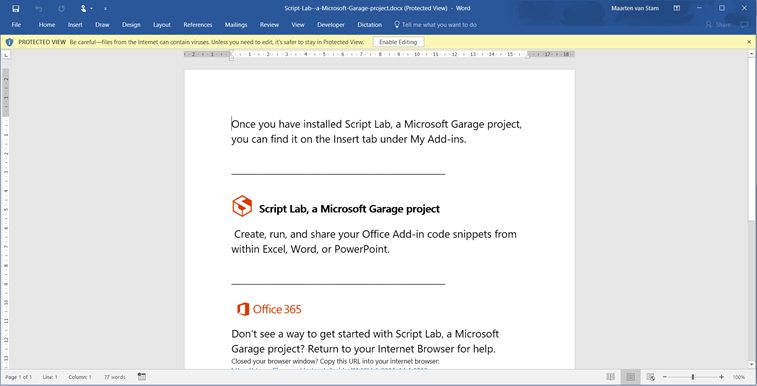 For now, at least the Word Script Lab Add-in is installed and ready to use. 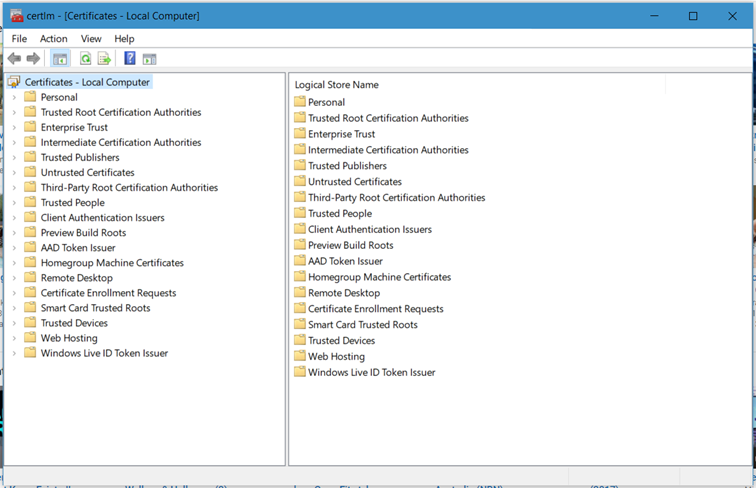 To solve this, we need to add the server certificate as a trusted authority to the certificate store. 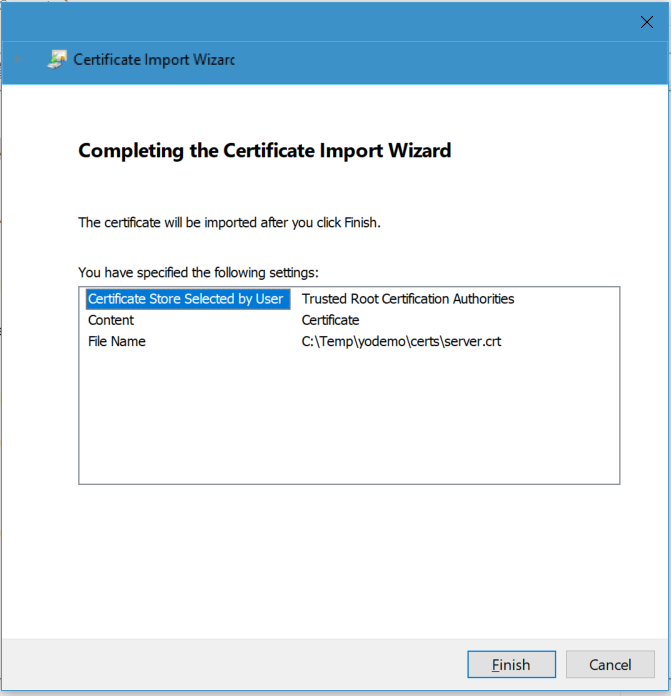 In my post Office Development – Fixing Certificate Issue with OpenSSL Certificate I already showed you how to create the certificate. 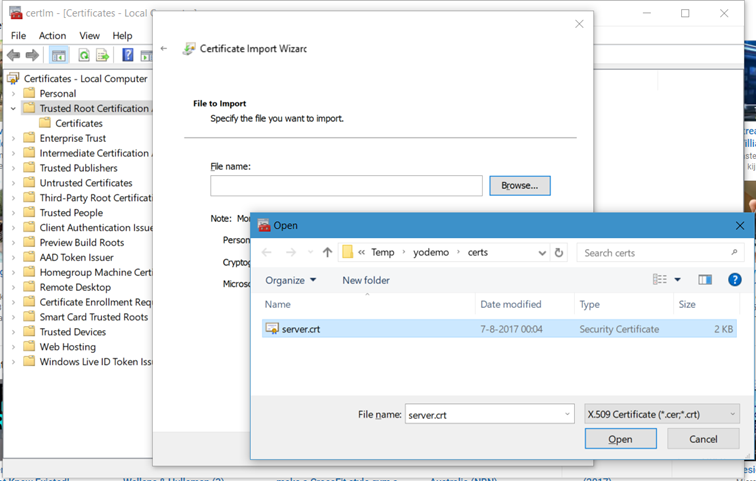 I even announced that I had to add the certificate to the trusted root certificates but, in the end, never did that – resulting in the issue above. 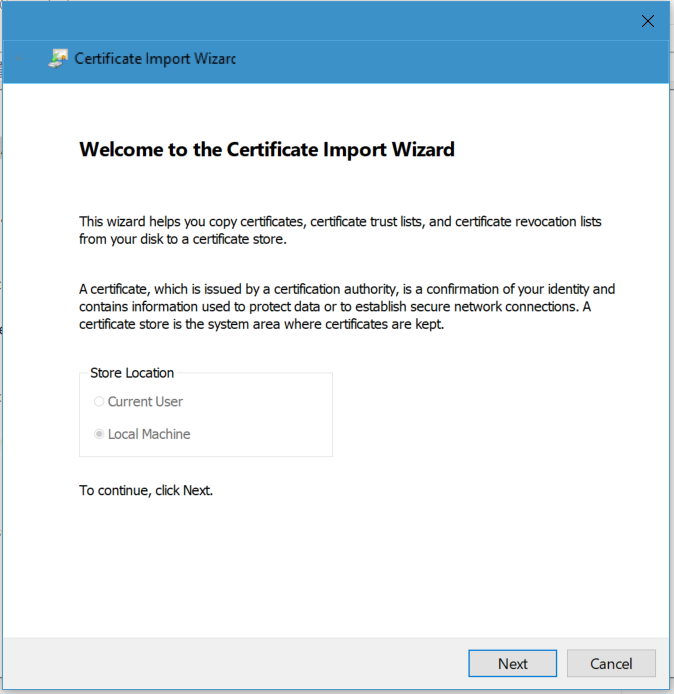 First, let’s clean up the installed Add-in to re-do the installation later on to see if it installs correctly after adding the certificate to the trusted root certificates. 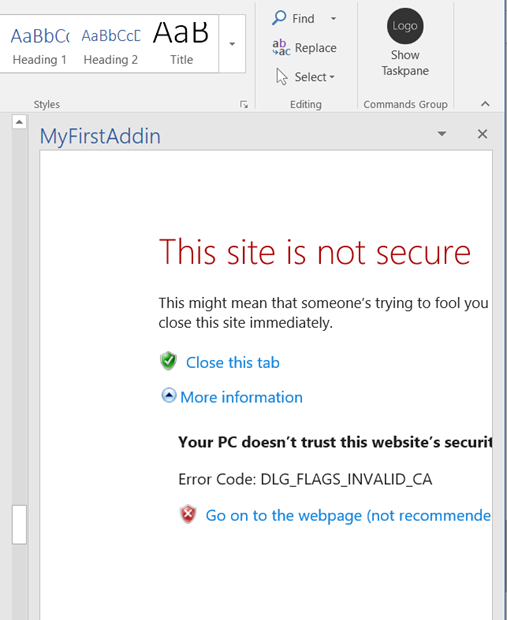 Select the Trusted Catalog Address, click Remove and click OK to close the dialog. 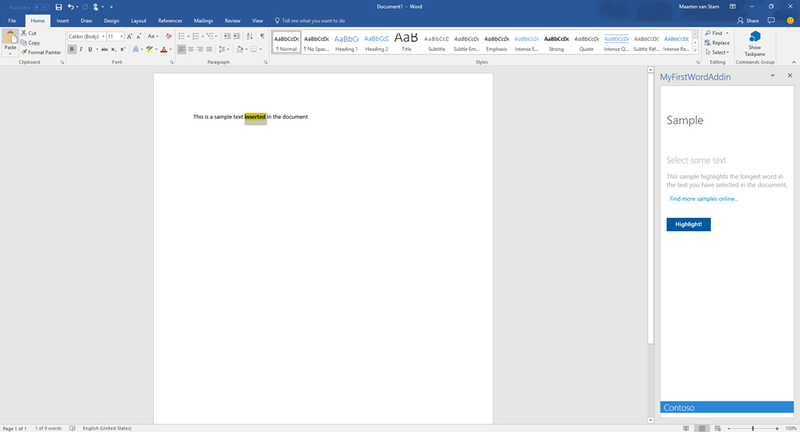 You’ll get a message that it will be effective when you close and open Word again. Close Word to get it done. 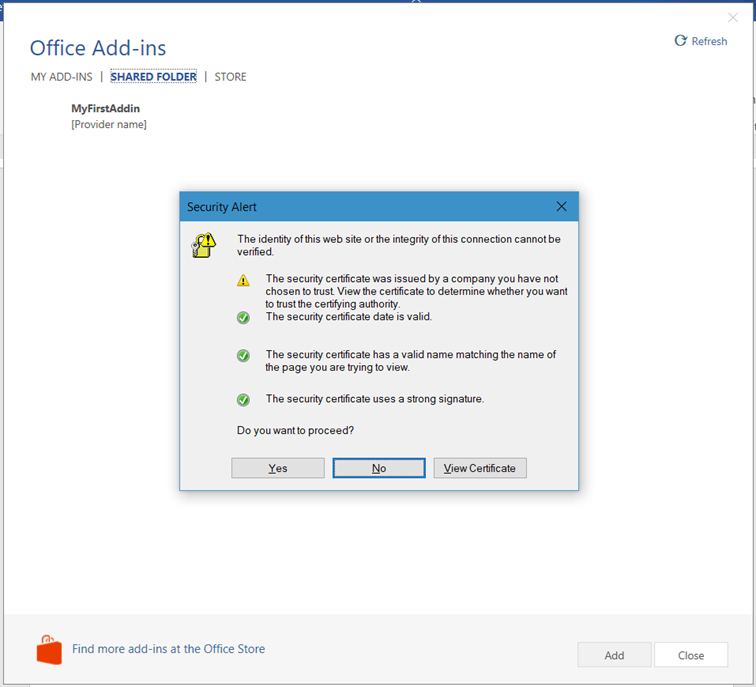 Select the server certificate from the Add-in folder that you created while generating the certificate. Click Open and add the certificate. And … Finish to complete the certificate installation. 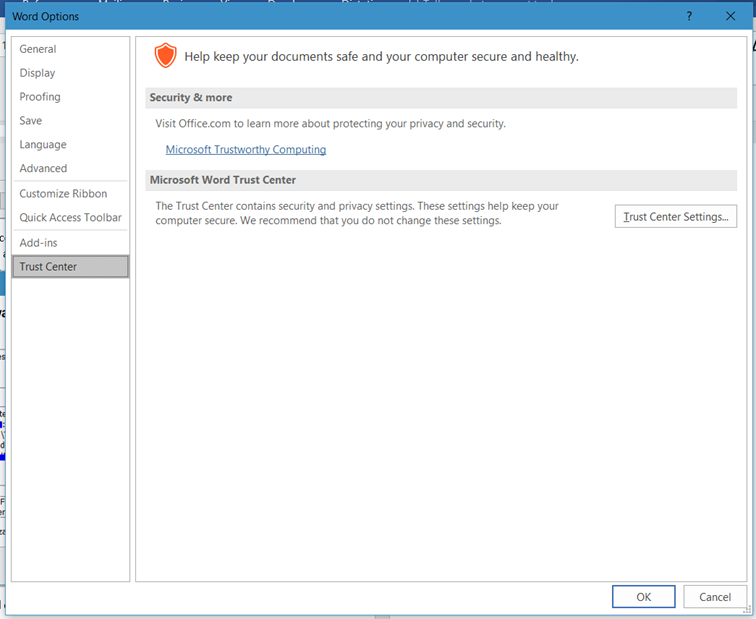 Repeating the steps from the previous post, go to File/Options/Trust Center/Trust Center Settings … button and click it. 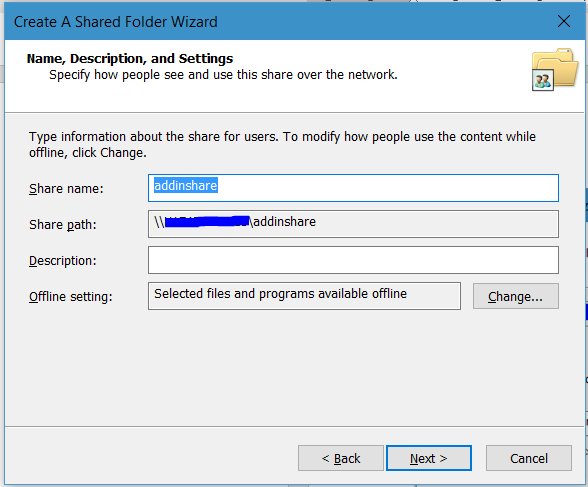 Add the network share again, don’t forget to check the checkbox. Close the dialogs and if you get this message below, close Word and start it again. Now go to the Insert Tab and click My Add-ins. Repeating the sequence that we did in our previous post, go to the Insert tab and click My Add-ins. 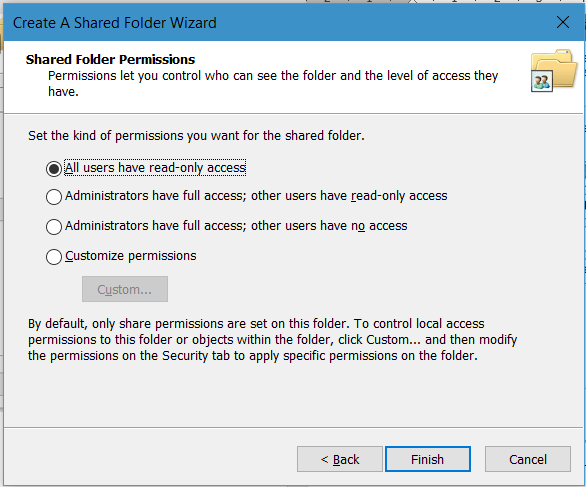 From the SHARED FOLDER tab select your Add-in again and click Add. Immediately you see the button at the Home Tab in the Commands Group. 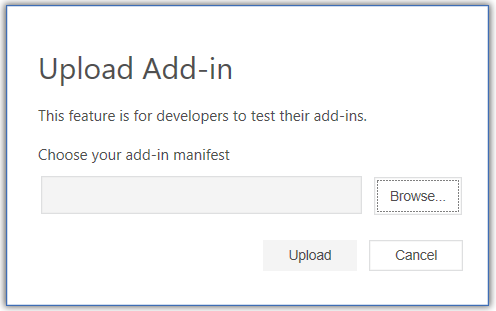 And if you now click the button, the Add-in is now loaded without issues. 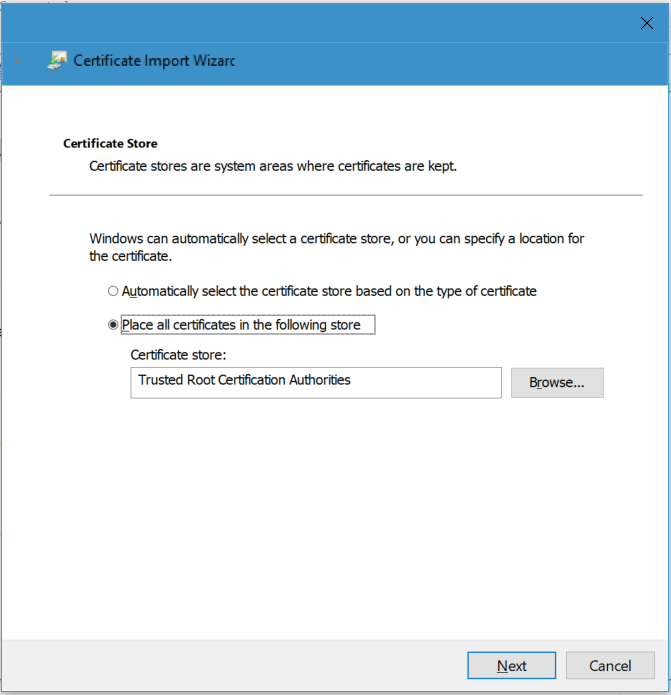 No more warnings for security issues or incorrectly named certificates. It just runs. – Make sure your security is in place. 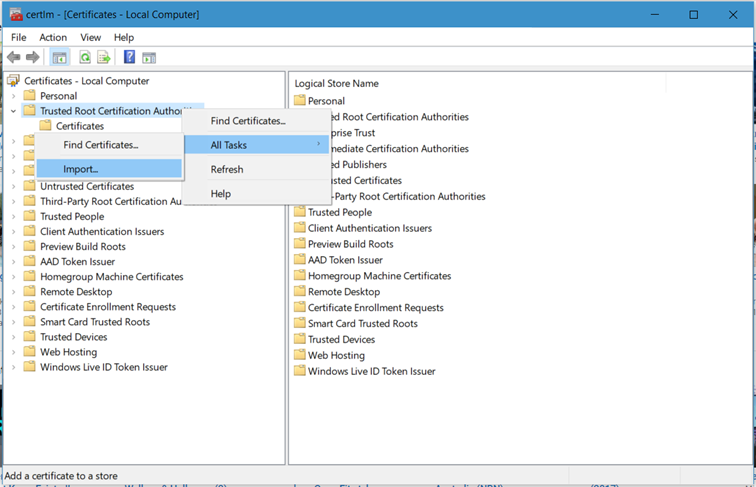 Prepare your certificates with the correct names on the certificate and add it to the trusted root certificates. 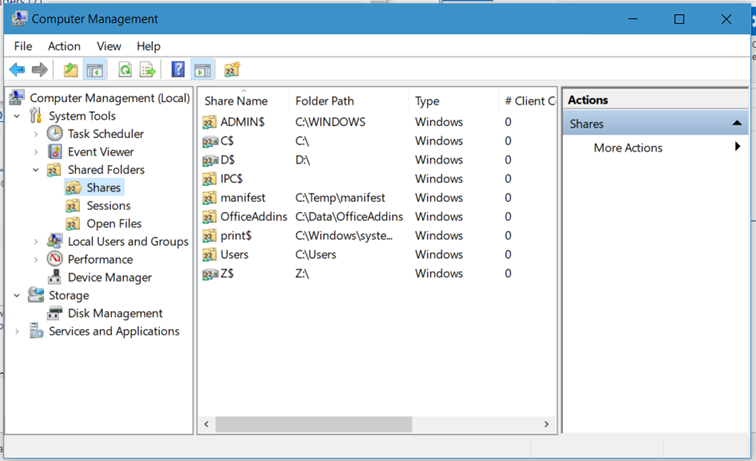 – Cleaning (removing) installed Add-ins is not so trivial as you might expect. 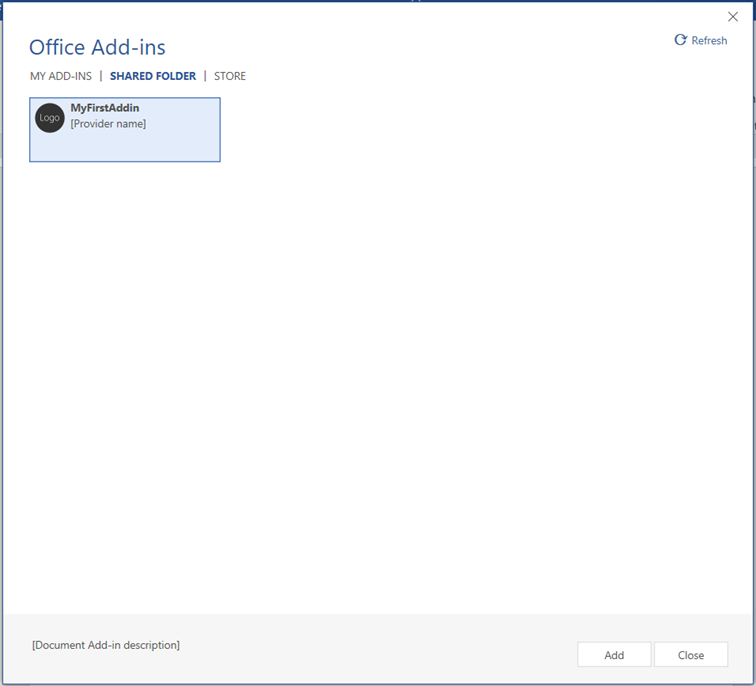 We had to remove the Catalog entry, closing Office and reopen Office clears the Add-in. 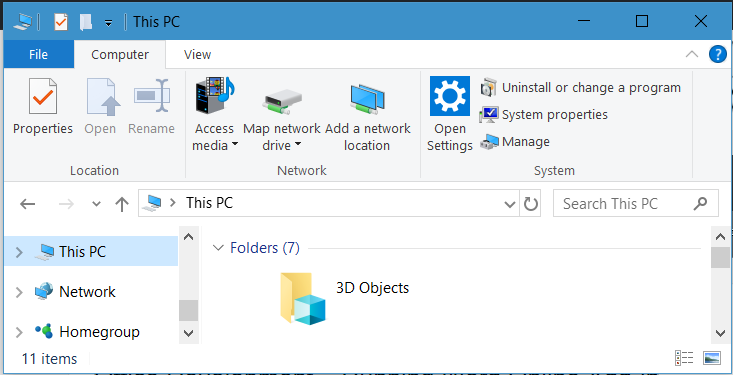 It would be easier if the user interface provided an option to remove the Add-in in an easier manner. So far, we installed NodeJS, Git, Yeoman and created a simple Add-in. 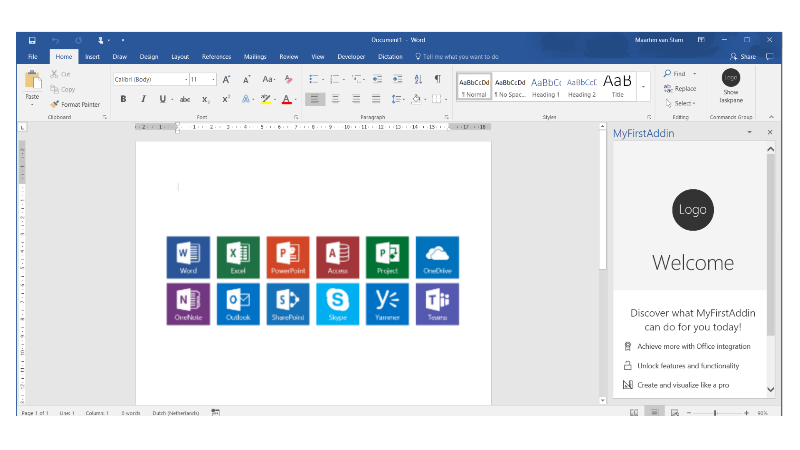 Next, we tried to install it on Word Online, fixed some security issues, installed it on the Word local client, fixed some more security issues and finally installed it on the local Word client again, this time without issues. 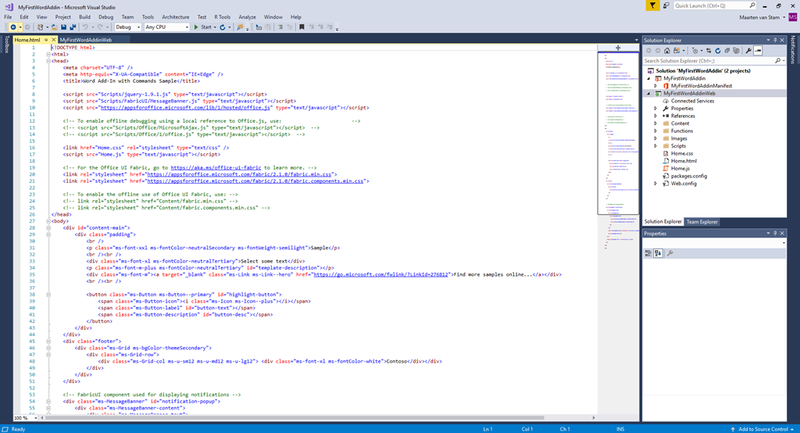 Not much interaction yet between the Add-in and Word but we’ll look at that later. from the root of your Add-in folder. Now you have your ‘web server’ up and running and we need to make this visible for Word. 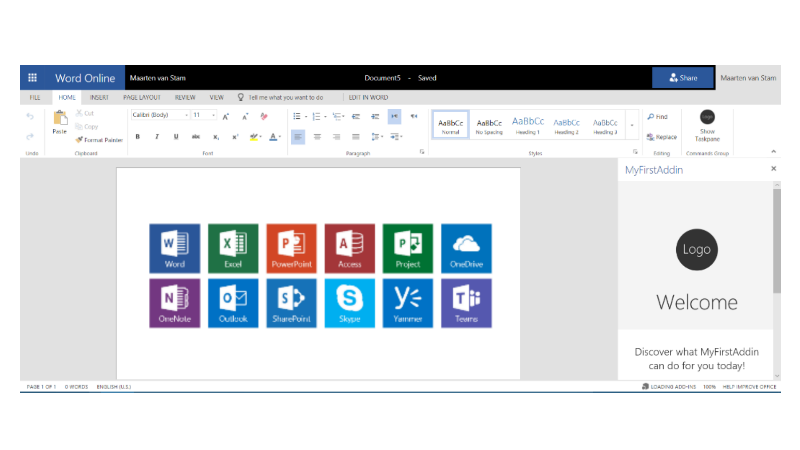 Word is able to ‘see’ Add-ins that are exposed by manifest files in a shared network location or web URL. 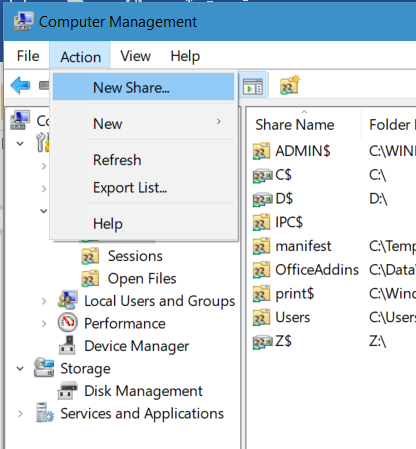 Today we will use the shared network location to expose the manifest file. 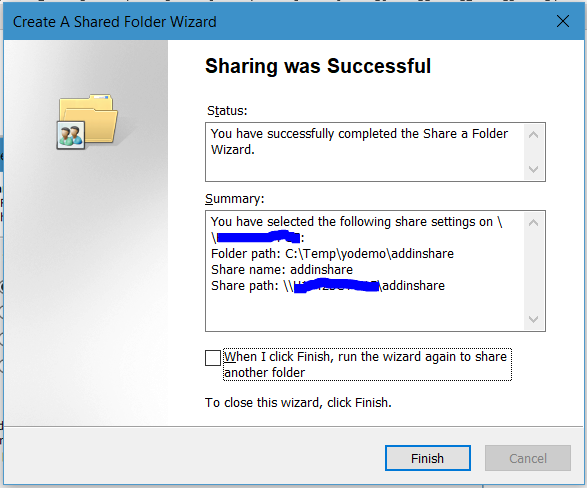 In this case I just created an extra folder in the Add-in project called addinshare. Don’t forget to copy the manifest file “my-first-addin-manifest.xml” to the just created folder! For now, add All Users have read-only access (you might want to change the access rights later on but for demo purposes pick the default) and click Finish. Click Finish again to close the dialog and close the Management Tool. 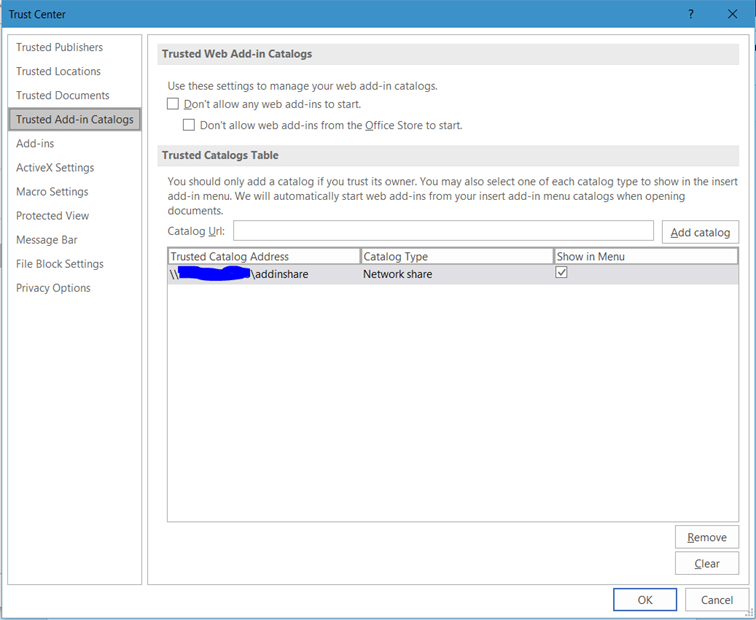 On the left side select “Trusted Add-in Catalog” and in the Catalog URL enter the network share from your computer \\<computername>\<sharename> that you just created in the previous steps. Click Add catalog to push it in the list. 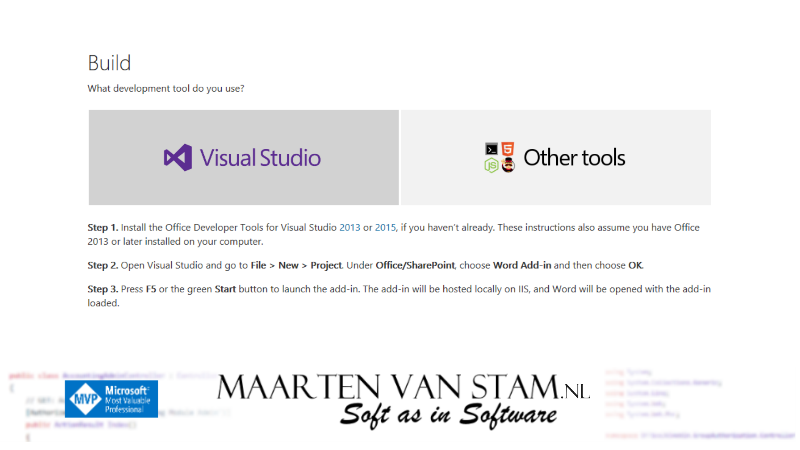 When added to the list, check the checkbox Show in Menu to make it available in Word. 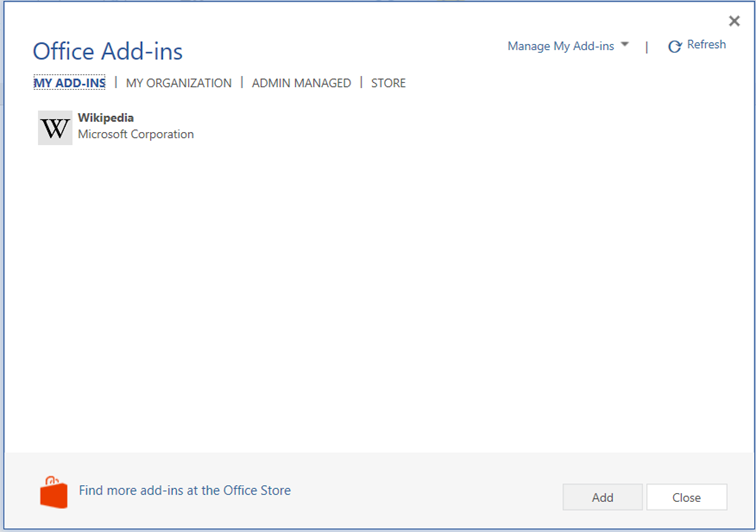 Note: Before clicking “Add catalog” it would be a good thing to check in Explorer that your folder spelling of the shared folder is correct and is opened without issues. If all went right you should be able to add your Add-in to Word. 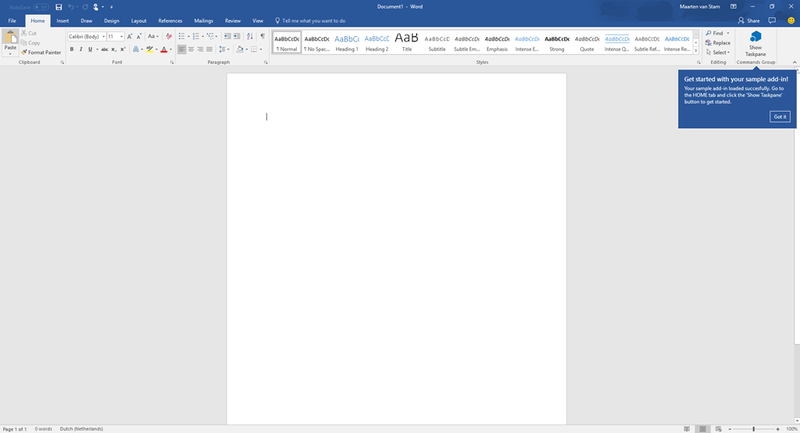 Close all instances of Word and restart Word. 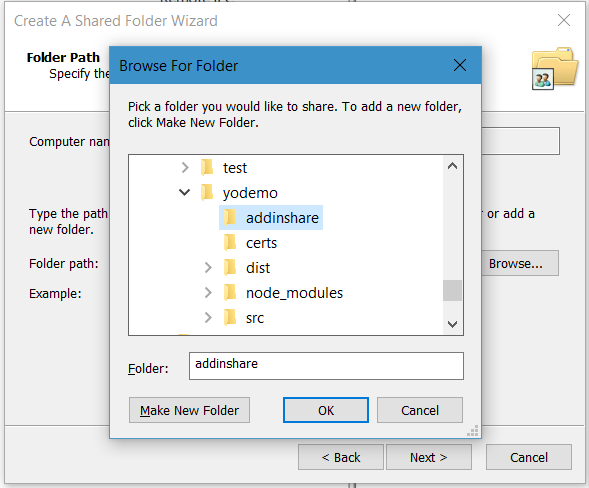 Clicking the My Add-ins button in the ribbon will give you the dialog below if you select the option SHARED FOLDER (notice that Word recognized the share and provided you with this menu option. 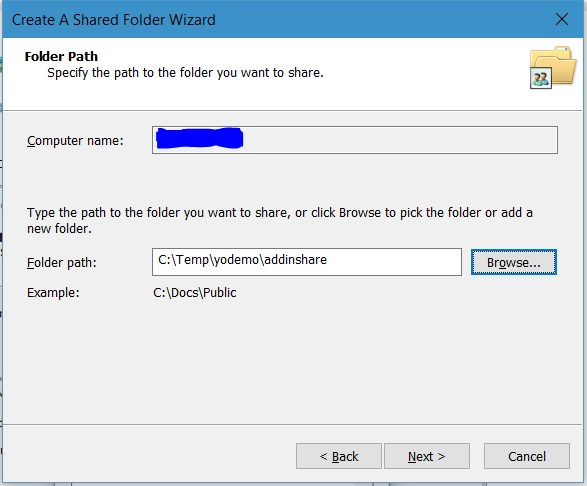 If the share wasn’t recognized the option for SHARED FOLDER would not appear). What is up? Didn’t we fix the certificate issue? We had it running in the browser, didn’t we? Well, yes … but what I forgot was to add the certificate to the list of trusted authorities. For now we can go on, we know it is safe but we need to fix this later on (food for another blogpost ). 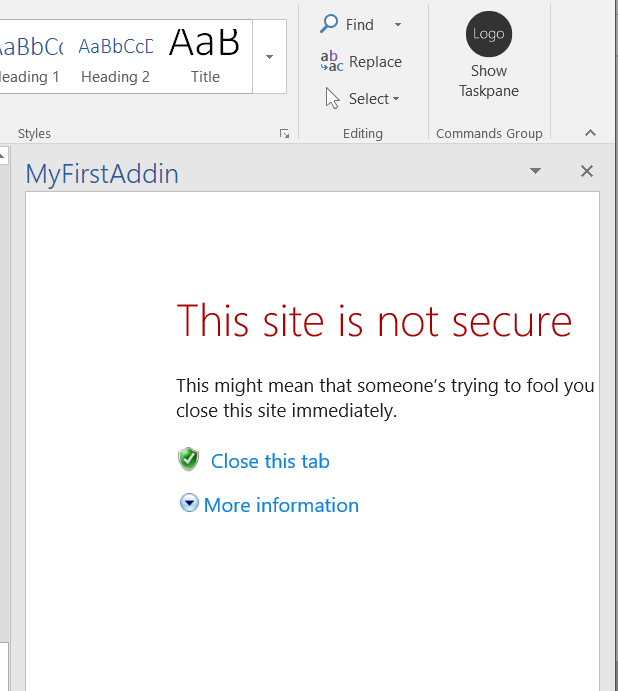 Click Yes to confirm, select the MyFirstAddin an click Add. Quite a journey again, still not flawless but cause by my own doing. 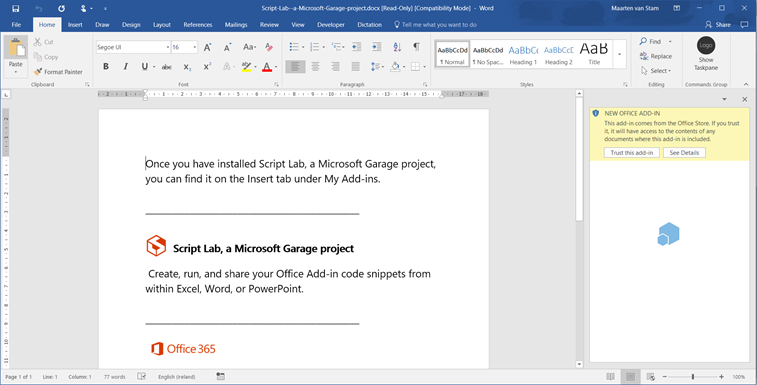 We now have the Add-in running in both Word Online and in Word 2016 on your local machine. What we’ve seen so far is that we installed NodeJS, Git, Yeoman and fixed a security issue. All if this to create a basic ‘hello world’ Add-in. 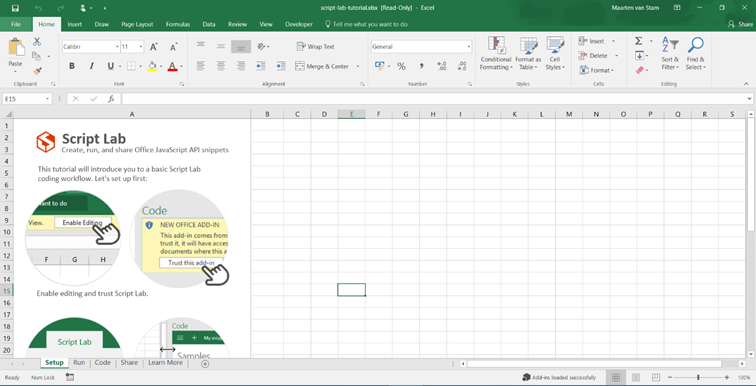 I must be honest and admit that running your first VBA add-in was a lot easier and running out of the box with just a few lines of code. 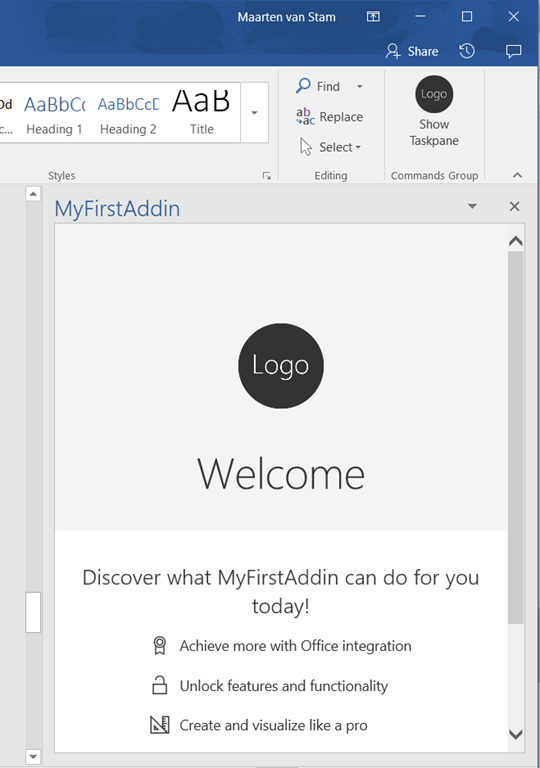 And there you have it … your first Add-in running in the Word client. Congratulations. I do have to admit that it didn’t work immediately … I had to upload the manifest more than once to get it to work. 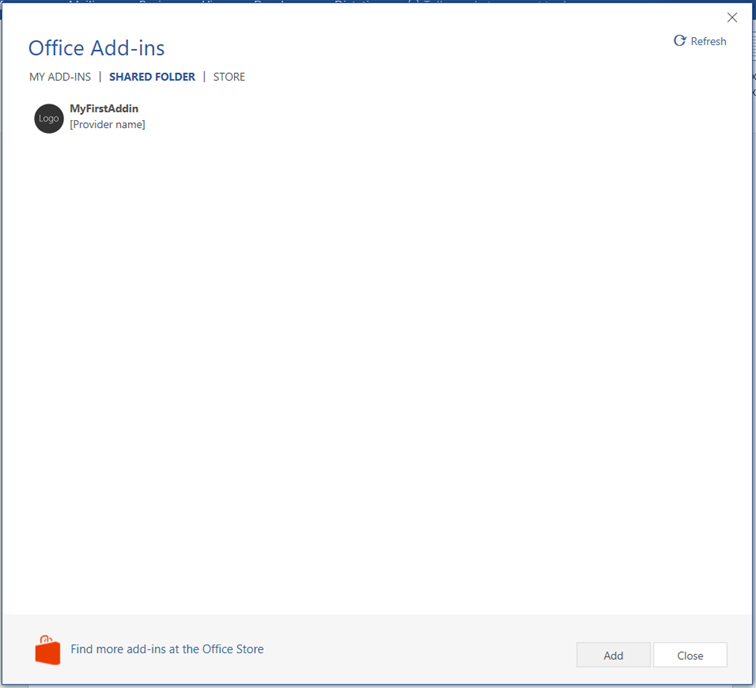 At first my icon didn’t appear, the group did but the Task pane didn’t load either after clicking the ‘no icon’-button. Trying again solved it (no clue to why the first attempt failed). Obviously, the scenario we’ve seen so far won’t work ‘in production’. 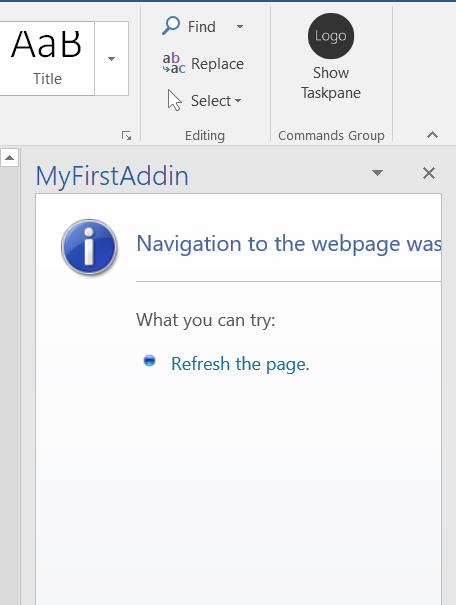 The Add-in website is currently still running on your local machine at a specific port (3000 in this case) and adding the Add-in using Word Online is not directly the most optimal way to get your Add-in up and running. Our journey of research is apparently not ready yet. We need to overcome the ‘demo’ instructions and see if we can get it closer to a production ready system. 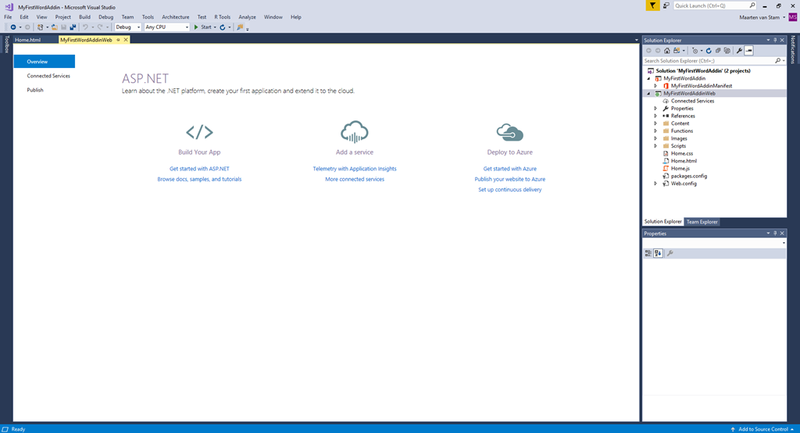 I think my next step would be to find out how to run the Add-in in the Word client running on the desktop. Maybe the next step after that to run it on a Mac. This all is still just running the Add-in, we haven’t seen any interaction with the documents. No fear, we will get there … I’m sure so keep with me and hang in here.